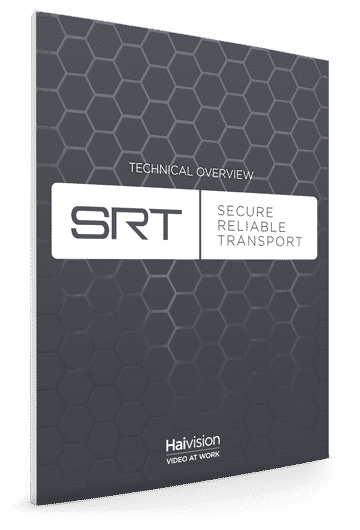 SRT (Secure Reliable Transport) is an open source video transport protocol and technology stack, developed and pioneered by Haivision. This continuously updated document will explain the technical aspects of the SRT protocol as well as give an overview on its implementation. This complete guide gives a detailed technical overview into implementing the open source SRT (Secure Reliable Transport) protocol into your video streaming workflows. Explore the specific aspects of SRT in depth, including its origins, packet structures, the sender and receiver operations, packet loss recovery techniques, handshaking mechanisms, timing and latency, and encryption.